Home Auto news Drive Our Future! Mercedes-Benz is helping people get the car of their dreams. The road from being a pedestrian to getting into the driver’s seat of a Mercedes goes via the Benz offices. Thousands of Americans every day choose the Mercedes financial services. The German brand is looking for somebody to lead the way. There is a reason they are calling the United States „The land of all opportunities”. The Mercedes Financial Services department is asking for their potential customers’ help. As bizzare as it may sound, they are looking, among their customers, for somebody to change the car-buying process, to make it simpler, more intuitive and user-friendly. They are searching for a person with vision and groundbreaking pecuniary ideas! The prize is not something one could simply ignore! The winner gets two years behind the wheel of a 2015 Mercedes CLA, with no need to pay for it. 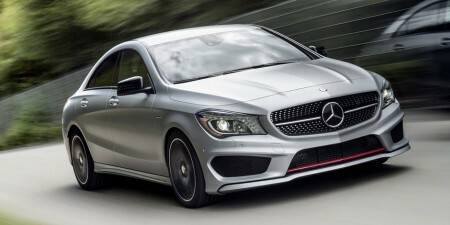 If you are second best, you still get a CLA, but for one year only. Come up with an idea and get a CLA! Mercedes is boasting with a leader position in the vehicle finances industries. „It is not because of arrogance, but because we listen and learn. Tell us, show us the future of the vehicle finance experience”, they ask in the video that advertises for a position in the Mercedes financial department. They do not ask customers to design a new futuristic car, nor build an app from scratch, but help them design and build a new financial line. The campaign bears the „Drive Our Future” slogan and claims that the new stage of innovation starts with their customers ideas. Mercedes is planning to become first choice provider in digital, financial and mobility services. The offer is for the US legal residents only (exluding the states of Alaska and Hawaii), who are above 18 years old.